The next two weeks will be very busy indeed. Tomorrow, I fly to Vermont for the Developments in Neuroblastoma Research Symposium, where I am giving the welcome. I'll speak briefly about Max - reminding everyone in the audience the ultimate purpose of why we're all assembled in that one auditorium together - and then give a message about the power of collaboration and what can happen when parents get involved. 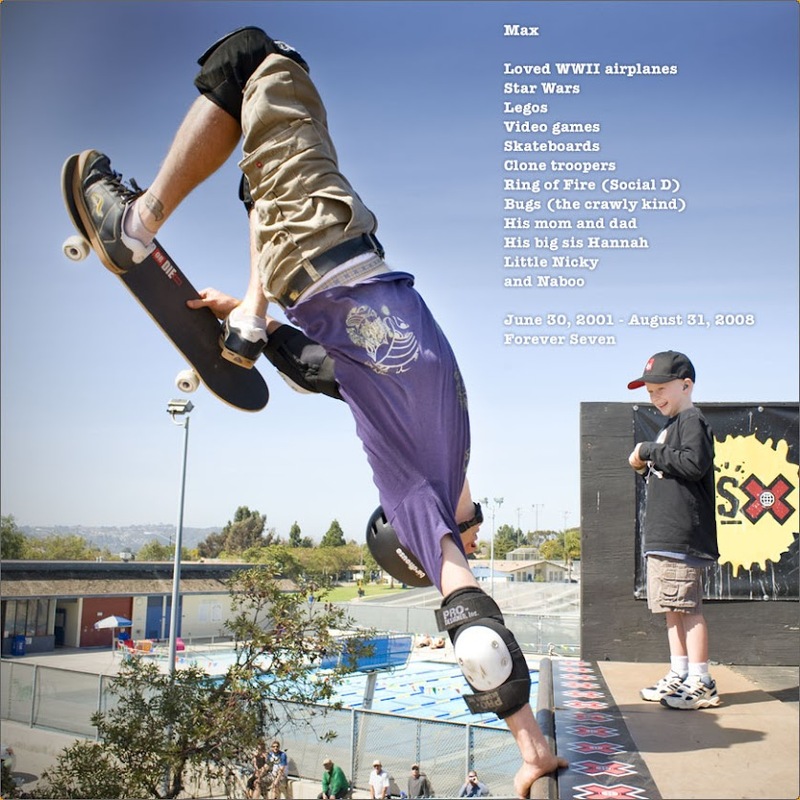 It will be the first time I've had to speak about Max in front of a large audience since his death. I hope I hold it together. The symposium itself should be very good, with Nai-Kong Cheung from Memorial Sloan Kettering Cancer Center (MSKCC) the keynote speaker. Cheung and MSKCC developed an antibody therapy for use in neuroblastoma called 3F8 that uses mouse-derived antibodies to target a receptor on a neuroblastoma cell. When 3F8 is injected into the bloodstream, it travels through the body until it attaches to the marker GD2 that is present on all neuroblastoma cells. The attachment of 3F8 to a neuroblastoma cell signals the patient's own immune system (e.g. the white blood cells) to treat neuroblastoma cells as foreign. In other words, the 3F8 directs the patient's immune system, which ordinarily acts only to control infections, to attack neuroblastoma cells and kill them. 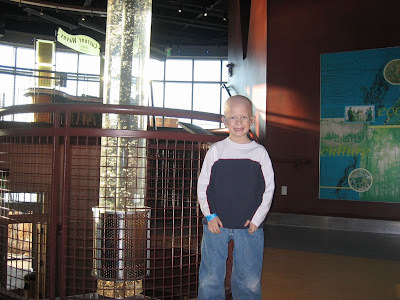 Max's doctor from Children's San Diego - Dr. Roberts - will be at the sumposium as well, as part of the new Neuroblastoma and Medulloblastoma Translational Research Consortium (NMTRC) that includes San Diego, St. Louis, MDAnderson (Houston) and Vermont hospitals. Also very exciting is that I got Gilles Frydman to moderate the final panel of the day, on therapeutic decision-making. Gilles is somewhat of a rock-star in the cancer/patient advocacy world. He started ACOR, which is one of the oldest online disease communities, and the largest online cancer community. ACOR is where NB parents connect online to share advice, provide support, and learn about new treatments. Also great to hear is that many other parents and parent-foundations will be at the symposium, including parents from Ishan Gala Foundation, Friends of Will, Band of Parents, MagicWater, Grace Oughton Cancer Foundation, and others. It is through the combination of all our efforts that we will find a cure for neuroblastoma sooner. Just to let everyone know, these parents - myself included - take valuable vacation days from our day jobs, and spend our own personal money (not their foundation's), to attend events like the Vermont Symposium. I mention how money is used, as on the 31st of this month (Melis' birthday in case you're keeping track) is Max's Ring of Fire's first fundraiser called Touch A Truck.We hope to raise $10,000 for Dr. Sholler's neuroblastoma research program at UVM with this event. We're well on our way with over $1,000 in tickets already purchased, but still have a ways to go. If you are planning on going, it would be great if you buy your tickets in advance as this helps us know how many people will be coming. And if you're not coming, why not buy a ticket anyway? We're inviting all the families actively being treated at Children's Hospital San Diego free of charge, many who otherwise might not be able to afford the ticket price, so sponsor a family today if you can! Max in Vermont at the ECHO Science Center, Jan 2007 during hopeful times. I will keep you in my thoughts and prayers for your talk at the symposium. I know it will be difficult to speak of Max to a large group. I applaud your (Andy and Melissa) efforts in the fight to bring and end to NB. Mike and I will sponsor 3 familys and challenge other Max's blog followers to do the same. Love you!! I appreciated your description of 3F8. You describe it in a very straightforward fashion. Also, I never knew the history of the list serv. Thanks for the scoop, and best of luck at the conference. Force be with you! what ever is asked of you and do it well. I am so proud of the efforts you and Melissa are putting in to this. Great work! You are in my thoughts as you stand before the crowd.